This has been running for a while, and you may see some familiar faces in the article too. 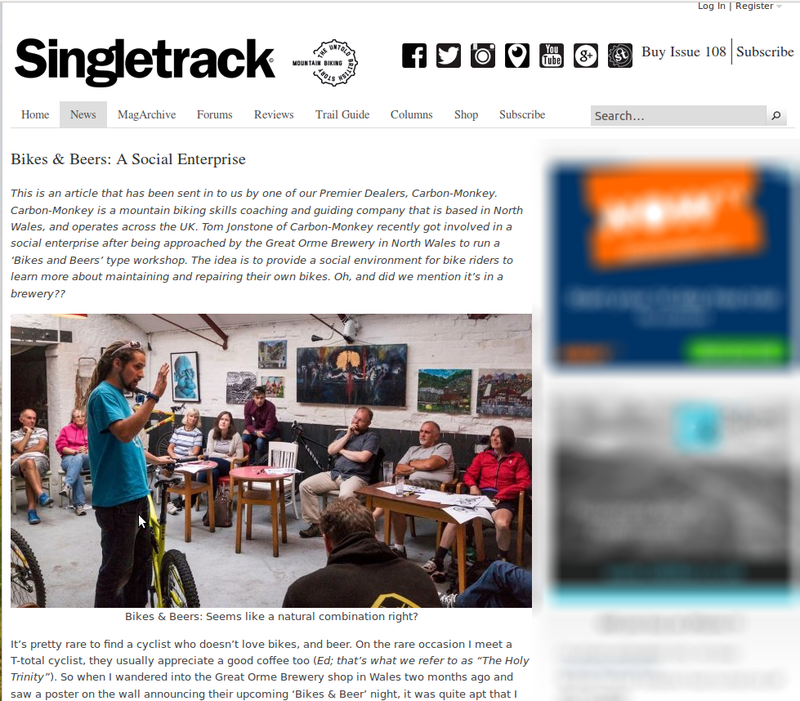 In short – bike mechanics, social enterprise, bikes, cyclists, in a local brewery with a really really nice bloke called Tom. Good heavens – why would you not? Next one up Thursday 22nd September 2016. For more information https://www.facebook.com/BikesBeersNW/ or contact tom@carbon-monkey.co.uk.